While crowdfunded games can be a contentious topic, fundraising platforms are also used for various other projects, some of which are certainly more than worthy of seeing the light of day. 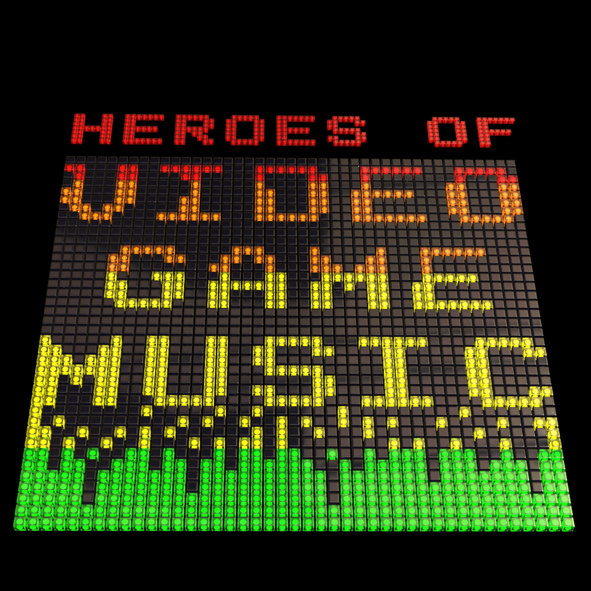 One that's been brought to our attention is the Heroes of Video Game Music Album & DVD, which will be a collaboration between project leader Rik Ede and a number of the industry's finest composers and arrangers. The goal is for the album to include a mixture of chiptune and orchestral tracks and bring attention to the important role of music in gaming experiences; some will be remixes and others new compositions. Ede is an experienced composer that's worked for Sony / Psygnosis, and has secured a sponsorship deal with Dolby to ensure full surround 5.1 support for the project. Twenty experienced composers will be taking part in the album, which will be available as a download or, for those happy to pay a little more, a DVD with additional tracks and behind the scenes footage. Of the composers confirmed to date, former Rare staffers Robin Beanland and Graeme Norgate may be familiar, with their credits including iconic titles such as Donkey Kong Country, Killer Instinct and Perfect Dark. The full list at this moment is below. At the time of writing this project has already accumulated over £6000 of its £7000 crowdfunding target with 26 days to go; once the target's reached stretch goals will likely be added. You can check out the pitch video for this project below, while full details can be found on its Kickstarter page. The music in Medievil and Time Splitters 2 is incredible! Glad to see these guys getting a shout out! It would probably be pretty tricky, but what's the point of celebrating video game music without Koji Kondo? In fact I can't help but notice that there aren't any Japanese composers on that list at all. Robin Beanland isn't a former Rare composer. He's a current Rare composer. Even though he hasn't done a whole lot I still really like Hajime Wakai. Yoko Shimomura is also really great! And obviously Koji Kondo deserves to be mentioned in any discussion involving video game music. In fact I'm listening to the ocarina songs arrangements from the symphony of the goddesses right now!